Everyone experiences grief at one time or another. The grief process is normal, but for some people, it turns into suicide. What is GRIEF? (Medicine.Net) The normal process of reacting to a loss. The loss may be physical (Death), social (Divorce) or occupational (Job). Emotional reactions include anger, guilt, anxiety, sadness & despair (depression). However, when grief takes over it can turn into a clinical depression. Some people don’t have coping skills or support they need and don’t want to talk about it. There are treatment and resources that we all should be informed about. Let me give you some facts: (WebMD) Clinical depression affects about 6.7% of US population over 18 years old. Depressed mood most of the day. Symptoms present for 2 weeks. Recurring thoughts of death/suicide. There is high risk of suicide with depression. Over 90% of people that die by suicide have clinical depression or another mental disorder. American Foundation for Suicide Prevention reports for every suicide, there are 25 attempts! So we need to talk about grief more! When we know someone is grieving over a loss or other main event such as divorce or illness, we need to get the resources to the people before it’s too late! Let’s be more aware!! Yes, they’re coming! We can’t hide, it’s inevitable. The holidays are here! Although my young children were grieving in their own ways, they looked forward to Christmas, presents, decorations, and celebrations. My oldest daughter was in second grade and my youngest was in kindergarten. This was the first year of holidays without their father. They participated in all their class activities for Halloween, Thanksgiving, and Christmas that year. In their grief, these special days in school appeared to give them relief, joy, and laughter. 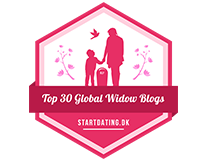 For me, in my first year of widowhood, I despised the holidays coming. I wasn’t looking forward to any of them! The holidays were my husband’s favorite time of year. He not only loved shopping but he did most of the wrapping and decorating. He was also the life of the parties! So I knew exactly what to expect. I’d be depressed while shopping, wrapping, decorating, and celebrating that year. I couldn’t do it. Not even for my daughters. I’d have to plan something different. Somehow, I’d have to figure out, how to survive the holidays! I decided that a trip would make the most sense. (If I had any sense that was!) For one thing, this would get me out of decorating the house. Planning a trip would also keep my mind busy to make sure things were done in a timely manner. I anticipated the joyful reunions ahead, knowing that I’d see family and friends that I hadn’t seen in many years. This pulled me through the days I had to shop and wrap my daughters’ gifts, to take with us. As we pulled out of our FL driveway for a 4 week holiday road trip to NC, NJ, NY, PA, IL, MI, and SC, excitement went with us. Our first stop was Christmas in NC with my parents, sister, brother-in-law, and niece. Joy and pain coexisted that year for the holidays. But better to have both, than to suffer with pain the entire time. I know many people thought I was crazy to take this road trip not only in the winter, but we ended up driving through a northern blizzard that year. I didn’t care what anyone thought, I trusted that God would protect us and only give us what we could handle! Bottom line….we survived the holidays!! I met this beautiful young lady, Drew Dotson, who is living with Cystic Fibrosis. My interview with Drew gives insight of the grief she has been through and offers hope to others that may be battling a chronic illness. 1) When you first learned that you had CF, how did that make you feel? I understood I had CF at a very early age, but I realized the gravity of it when I was 8 years old. I read an article that mentioned the life expectancy for someone with CF, and this was a complete shock to me. I was devastated. At age 8, I had already made big plans. I wanted to be the first female U.S. President, an actor, a model, a teacher, in the military, and the list goes on. At a time when most kids are invincible, I felt that my life was ruined. I began to focus on everything I wouldn’t be able to do. It was an instant change. 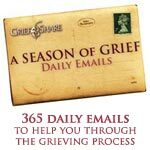 2) How did you know you were going through grief? I was consumed with the thought of my death. Every night I cried myself to sleep, thinking about how I was going to die young. I remember sitting in elementary school, thinking about how I would never get married or have children. I became very end-oriented and stopped thinking about what I wanted to be when I grew up. 3) What were some of the stages of grief that you went through, with an example of each? I have toggled between different stages of grief throughout my lifetime. Currently, as a young adult, I think I am living in the acceptance stage, with occasional regression when I learn of deaths of others with CF. Denial: When I learned the severity of my illness, I kept very quiet about it. I think this was my way of being in denial. I thought that, by keeping it to myself, it would be less of a reality. Anger: I don’t recall having any angry outbursts or rage. However, I do recall rebelling against doing breathing treatments out of spite. I felt like, if I was going to die young, I didn’t want to waste my life doing treatments. Bargaining: After my stint of refusing medications, I was hospitalized for the first time. This hospitalization was very emotional for me because I had pushed myself to the limit, and then I found myself regretting my behavior. I remember thinking that I would do better, that I wouldn’t let this happen again, etc. Depression: College was a difficult time for me. I lost several friends my age with CF during this time. Also, because college is so future-focused, it was hard to keep from getting ahead of myself. For a lot of people, college is viewed as the transitional period to the real world. All of these thoughts were difficult to process because I had successfully spent so much of my life ignoring the future. I experienced a lot of sadness and didn’t feel as comfortable in social situations. Acceptance: I spend most of my time now in acceptance. Routine doctor appointments help me keep tabs on the status of my health. Sometimes a bad visit or a hospitalization can push me more toward depression, but I am largely accepting of the situation. For the most part I consider myself accepting, yet realistic, about my illness. I can openly talk about death without feeling sad. There is a growing part of me believes I will see a cure in my lifetime, but I still try to live as though my time is limited. I think that talking to other people with chronic illness, specifically CF, was very helpful for me. I have a cousin with CF who is 18 months younger than me. She has been a big source of help for me because she understands what I’m going through. Sometimes it can be difficult talking to loved ones. They often want to be encouraging and uplifting, and sometimes that can make me feel as though the situation is being trivialized. I like having someone to talk to who won’t say “You’re going to live a long life” or “You shouldn’t think that way.” It is comforting to have someone that I can talk to without any reservation. I am lucky to have a family connection to CF, but there are also online communities for just about everything. My one warning is that, while online communities can provide support, they can also expose you to a lot of sadness. 5) What gave you hope? I found hope in many things. First, I have always had a good support system in my family and close friends. Although I wasn’t very open about my CF growing up, I did have people I could talk to about how I was feeling. Second, I have been fortunate to have many more good days than bad days when it comes to my health. My good health, relatively speaking, has been a source of hope. 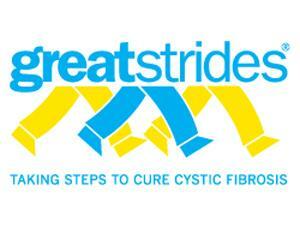 Finally, the advancements made possible by the Cystic Fibrosis Foundation have given me great hope. New medications and therapies help me maintain a better quality of life. There are clinical trials happening right now that could drastically change my life. 6) How did you take care of yourself during grief? I don’t know that I took care of myself as well as I should have. I started seeing a counselor when I graduated from college because the transition to adulthood was challenging. It can sometimes be difficult to talk to loved ones about how I’m feeling because I don’t want to make them sad or worried. Having an unbiased third party was great because I didn’t have to fear any negative impacts from sharing my feelings. 7) What advice can you share with others that may be having a difficult time accepting a chronic illness? I would encourage others find a confidant (or a few) that they can talk to freely. I think my emotional journey would have been easier if I hadn’t bottled up my feelings for so long. As much as a chronic illness can contribute to becoming tough, it’s important to know how to be vulnerable, too. I used to have quite the Napoleon complex, thinking that I had to be the best at everything else to overcompensate for my illness. Once I learned that it’s okay to be vulnerable, my life changed for the better; I no longer felt as much pressure to be perfect. I would also encourage people with chronic illnesses to practice gratitude. If you make a concerted effort to be grateful, you’ll see that you have a lot of blessings. Visit Drew’s website and check out her YouTube video! 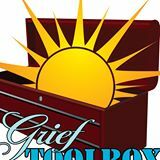 Visit “Your Tribute” website that offers online grief and funeral resources. As a contributing author, you can read my article in the resource section of recent articles, “It’s OK to be depressed…sometimes“. This website is filled with resources such as: Memorial Quotes, Funeral Info Mobile App, Funeral Etiquette, Funeral Poems and Songs, How to Write Sympathy Messages, etc. Perhaps you don’t need this resource now, but maybe you know someone that does. It makes the hard work a little easier.